There was never any cease-fire. War in Nigeria will not end anytime soon and the hundreds of schoolgirls from the northeastern town of Chibok kidnapped back in April will not — not now, maybe not ever — be coming home. So announces the leader of Boko Haram, the militant group that has brought all this havoc to the country, in a video released Oct. 31. After weeks of speculation over whether the supposed cease-fire that promised the release of the girls was real, the missive quashed hopes of a suddenly happy ending. 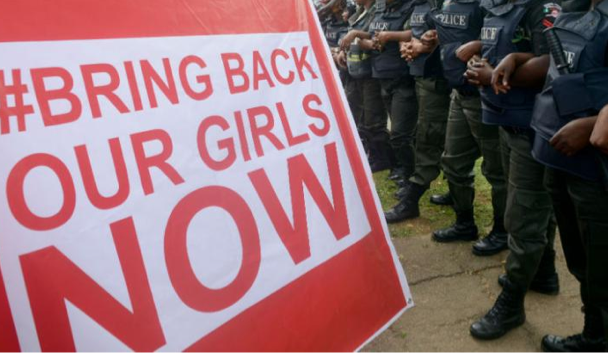 Ever since the girls were first kidnapped and Twitter exploded with hashtag activism (#BringBackOurGirls), the eyes of those who might normally ignore conflicts in faraway African countries have been on Nigeria. Intermittently. And then maybe not for a while, as the story had no new developments and, thus, no striking headlines. People, it seems, lose interest in staying until the end when it doesn’t come quickly enough, activist Gloria Steinem told me in August. But this story was, and remains, clickbait. Something about the confluence of such a brazen act — girls taken from a school that should have been a safe haven — combined with their gender, combined with the sheer number taken, combined with the mystery that surrounds their whereabouts caught media and citizens’ attention. No wonder the promise that the girls would be released was media and hashtag activism gold. Could it be…good news?